Do your drains look like they have seen better days? 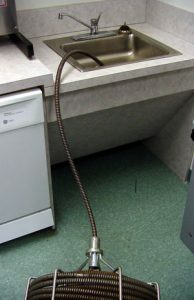 Allow our seasoned drain cleaners to solve your problems today. You can rely on our 30 years of experience to give you the stellar results you expect. Our team offers superior snaking and jetting services to clear your clogs. Contact A-Right Plumbing today. For damaged lines we offer DVD pipe inspection and expert troubleshooting.If needed we offer repairs to pipes and sewers from plumbing to excavation,we do it all! Rest assured if there is a problem with your drain, we can get to the bottom of the issue. Our master plumber will do a thorough evaluation of your plumbing and property to determine the best course of action.